Flexible employee expense management software solution for Windows users. Manage and organize travel related expenses. 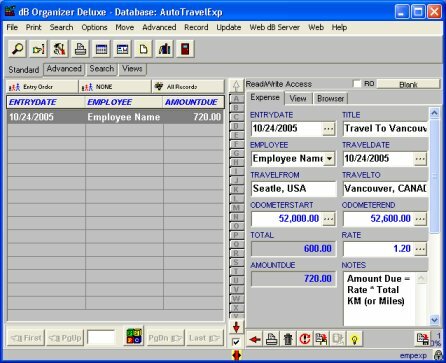 Track auto-travel employee expenses including: expense date, travel title, employee name, travel date, travel from, travel to, odometer start, odometer end, total miles/km, expense rate, travel expense calculated automatically, travel notes. Enter travel expense information easily.